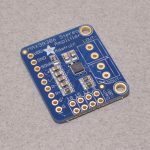 This breakout board detects light in the range of 240-370nm range (The UVB spectrum and most of The UVA spectrum) and outputs an analog voltage. To use, power the sensor and op-amp by connecting V+ to 2.7-5.5VDC and GND to power ground. Then read the analog signal from the OUT pin. 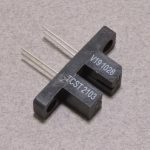 The output voltage is: Vo = 4.3 * Diode-Current-in-uA. So if the photocurrent is 1uA (9 mW/cm^2), the output voltage is 4.3V. 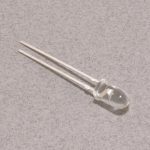 You can also convert the voltage to UV Index by dividing the output voltage by 0.1V. So if the output voltage is 0.5V, the UV Index is about 5. SKU: SEN-041. Category: Light / Infrared. Tags: Adafruit, Analog, Light, Light Packet, Sensor.